Australia’s internet laws are some of the strictest of any democratic country. Telecommunications services are required to retain all metadata for at least two years, with supporters of these laws saying they help to combat terror and organized crime. However, many critics have said that they’re overly intrusive and could be used in civil cases, such as divorce. If you live in Australia and don’t want the government logging all your activity, then it’s best to use a VPN. We recommended ExpressVPN for its super-fast speeds, unlimited bandwidth, and rock-solid encryption. Under the new legislation, ISPs must store this data for a minimum of two years. Australian security agencies, such as the ASIO (Australian Security Intelligence Organization) and state police forces, are allowed to access this data without a warrant. Needless to say, these new laws constitute a huge breach of privacy. Security agencies are able to monitor all your email and phone communication, without any judicial review. Like most people, you probably prefer that the government doesn’t pry into your personal affairs. Don’t worry, there are a few ways you can protect your data. Granted, not all of these ways are foolproof, but if you take extra steps to safeguard your privacy there are fewer chances that government agencies will spy on you. Use secure messaging apps: Avoid using your default phone messenger apps. Instead, download a secure and encrypted app, such as Text Secure, Signal, or Telegram. This will make it harder for mobile carriers to monitor your text messaging. Use the Tor Browser: Tor is free to use, and it can hide your IP address from any prying eyes. Tor protocols are censor-resistant and far more secure than a regular browser. However, Tor can be slow and it’s not available for iOS. Use VOIP services: Mobile carriers only retain data from regular phone calls. If you use VOIP services, such as Viper or Signal, for all your communications, they won’t track you. Use a secure email service: If you’re concerned about privacy, do not use your ISPs email server. If you don’t like using Gmail or Outlook since Google and Microsoft are known to spy on their customers, then use a secure email service. Check out ProtonMail, Hushmail, and CounterMail and see which one suits you best. If you’re tech-savvy, you can encrypt your regular email address, but this requires advanced tech skills. Use a VPN: This is the best advice we can offer. For a small monthly fee, you can encrypt all your web traffic, hide your IP address, and geo-spoof your location. A VPN is the ideal solution for Australian ISP data retention laws. A VPN (Virtual Private Network) is a secure, encrypted network which you connect to remotely, via your home/work/wherever network. All internet traffic is filtered through the VPN, so the network remains invisible. Websites and web services cannot trace your identity or your location, and all communications can’t be hacked or intercepted. Also, although your ISP can detect if you’re using a VPN, it cannot monitor your web activity. In addition, with a VPN you can ‘geo-spoof’ your location and fool a network into thinking you’re somewhere else. This is useful for bypassing geo-blocks and local censorship. If you use a VPN, the data retention policy in Australia won’t concern you at all. Your ISP will not be able to track your web communications or metadata, and your privacy will remain intact. ExpressVPN offers super-fast network speeds and unlimited bandwidth. The VPN software is compatible with all devices and it even uses a special obfuscation method which hides the fact that you’re using a VPN altogether. This is especially useful for avoiding the data retention laws. The network is secured with an AES-256 bit encryption. All of ExpressVPN pricing plans over 1 month come with a 30-day money-back guarantee. NordVPN is a reliable and secure VPN network. It offers fast speeds and 1300+ servers in over 60 locations. The network is also secured using a double VPN encryption. Additional features include a kill switch and auto-connect. Enjoy a trial period of 30 days with money back guarantee. HideMyAss uses a 256-bit encryption to secure their network. It comes with plenty of security features, such as a kill switch. However, you may experience slower network speeds than with other VPN services. You can try the service with a full refund after 30 days if you are not satisfied. SaferVPN is fast, secure, and safe VPN service. The network uses a 256-bit encryption with an OpenVPN protocol. It offers 700+ servers in 36+ countries and it doesn’t record any user logs. It also does not store IP addresses. SaferVPN also offer a 30-day money back in case you don’t want to pursue with a longer contract. PrivateVPN focuses a lot on customer privacy. It does not record any data logs or user data. This means that there’s no metadata available for any government agency to look at. It also offers 80+ servers in close to 60 different countries, and it provides a secure and reliable connection. You can try PrivateVPN for 30 days and get your money back if you are not satisfied. Ostensibly, the government and police forces benefit from your information. The police use it to tackle organized crime and drug trafficking, while security agencies use it to prevent terror attacks. Yet people are still infuriated by the new legislation. 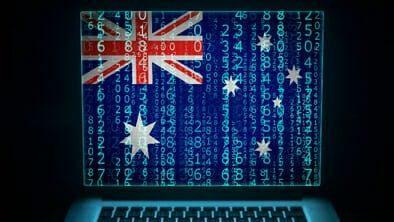 Australian ISP data retention laws pose a threat to the country’s democratic principles. Metadata is often very revealing and can provide third-parties with intrusive information. Police forces should require a warrant and judicial oversight before they probe into your affairs. Use our guide for how to bypass Australian metadata retention laws, and stay hidden online.